China is still one of the most important countries contributing to oil market bullishness, despite its slowing economy. Over the past two years, China’s state-owned oil companies – PetroChina, CNOOC and Sinopec – slashed spending on upstream oil and gas, cutting spending by 40 percent in 2015 and by an additional 28 percent in 2016, according to the IEA. Although few people think of China as a major oil producer, it ranks in the top 5. But Chinese oil firms oversee old and expensive oil fields, requiring steady investment in order to maintain output. 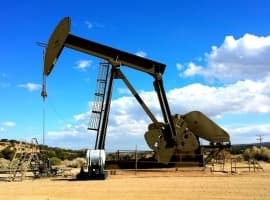 The crash in oil prices in 2014 forced the three state-owned oil companies to make cutbacks, which led to the closure of some particularly expensive fields. The effects were predictable: China’s oil production plunged by 7 percent in 2016, down by a whopping 480,000 bpd from the previous year. China’s state-owned firms are trying to stop the slide in their domestic crude oil production. They announced significant capex increases, the first increase in years. PetroChina, for example, is set to ratchet up spending by 15 percent to $22.8 billion this year. However, the spending hike will not arrest the production declines, according to the IEA, which predicts another 200,000 bpd loss in 2017. Oil analysts spend a lot of time discussing the situation in the U.S. shale industry, for good reason. But while much as been made about the 1 million-barrel-per-day loss of shale production because of the market downturn in recent years, the potential loss of just under 700,000 bpd from China has largely been overlooked. China is typically pivotal to any bullish case for oil prices. And that remains the case – except this time, at least in part, it is because of the supply side of the equation, rather than demand. But the demand picture is also positive for oil prices. In recent months, a slowing Chinese economy and questionable demand figures made China a downside risk for the oil markets. In 2016, for example, China’s oil demand grew at its slowest pace in three years, expanding by just 2.5 percent, compared to 3.1 percent in 2015 and 3.8 percent in 2014, according to Reuters. If the Chinese economy continued to slow, it could derail oil prices and seriously delay the move to “balance” in the oil market, the thinking went. On top of that were fears that Chinese oil imports had been unusually high over the past two years because of the rush to fill their strategic petroleum reserve. With many storage facilities filling up, analysts feared, China’s oil imports could plummet. But so far this year, China’s oil demand is growing briskly. China’s GDP picked up pace in the first quarter, the second consecutive quarter of economic acceleration. GDP expanded at 6.9 percent annually, beating market expectations. In the first two months of 2017, according to Platts, demand surged by 5.3 percent year-on-year. Data from March was even more staggering. China’s oil imports hit a record high at 9.21 mb/d, a spike of 11 percent from just the month before. Related: Did Algos Drive The Latest Oil Price Rally? To be sure, that pace is not expected to keep up, particularly since some crude imports were diverted into storage. 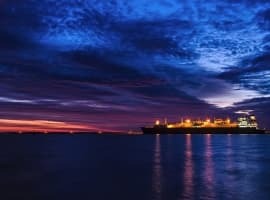 As refineries take a breather, imports could cool. Over the course of the year, the IEA puts Chinese oil demand growth at 400,000 bpd, taking it up to 12.3 mb/d, a respectable 3.3 percent increase from last year. Nevertheless, there are structural factors in place that make China a bullish force in the oil market. Production is falling at the same time that demand is rising. The gap can only be made up by importing more. Over the course of 2016 and 2017, China will have lost 680,000 bpd of production, while consumption will have surged by 800,000 bpd. That’s a bullish swing of over 1.4 mb/d in two years, a larger contribution to market tightness than the (temporary) drop in U.S. shale production. 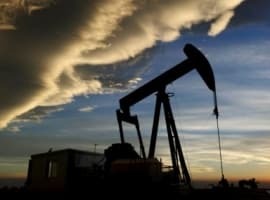 The significance of China to the oil market has been thought of as on the wane in recent years, with India often talked up as the new pivotal player. But China is not handing over that role just yet.